Is it an accident that some of the most recognizable and iconic brands are also the most consistent? Just think of Nike, and the slogan that launched hundreds, if not thousands, of successful ad campaigns worldwide. The Nike brand has certainly benefited from sticking to its guns – and the same slogan – since as far back as the late 80s. And while it’s absolutely resulted in long-term benefits, attaining brand consistency is no easy task. The challenge of achieving brand consistency only increased over the years. Today, when more employees have access to automation, CRM, improving workflows and creating personalized customer communication, it becomes a greater challenge for a brand or corporate identity to remain consistent, unified and secure. This challenge is no reason to blow it off, however; against this backdrop, it’s worth taking a step back to understand the expert view on the value of consistency, and its overall effect on your business. A report by Forrester suggests that your brand, mission statement, culture and how you express them are all important, but not more so than ensuring ‘customer experience is consistent with the brand promise’. In fact, this global leader in business research goes so far as to say that consistency across all touch points is ‘a key driver of brand trust’ – and highlights companies like Microsoft and Amazon as leading the way in this type of harmonized, personalized customer communication. Meanwhile, another report from, McKinsey, raises a similar point: trust is one of ‘the biggest drivers of satisfaction and loyalty in a majority of industries surveyed… consistency is particularly important to forge a relationship of trust with customers”. As part of a research project covering 27,000 US consumers across 14 different industries, McKinsey highlights three areas in particular – customer journey consistency, emotional consistency and the all-important communication consistency. Especially in the context of mounting sales channels, pricing complexity, customer choice and competition, the expert view seems to be clear: consistency is key. Without it, it is nearly impossible for a brand or corporate identity to appear professional and trust-worthy. 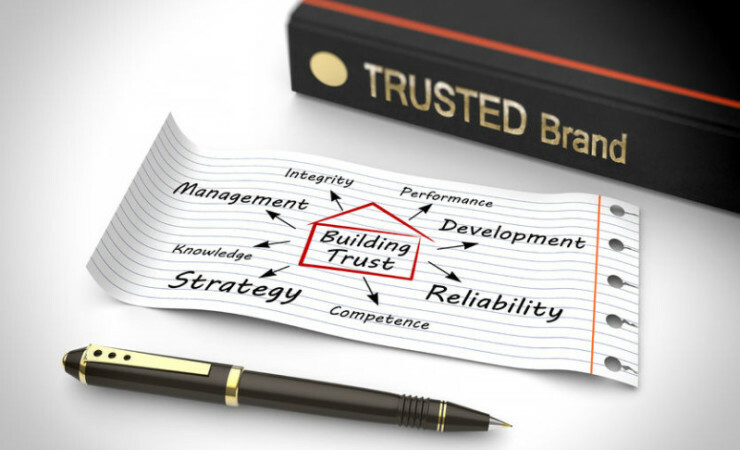 Just like Nike’s 30 year-old famous slogan, presenting the same look and feel for your brand and corporate identity universally plays a fundamental part in building trust and customer satisfaction. This is true whether you’re engaging with them on social media, through advertising, or even through an operational document (such as a contract, tender or invoice). Whether public-facing, or one-to-one, all interactions are effectively the same on a customer level – they’re just different stages of interacting with your brand. In summary, when thinking of consistency in branding, it’s always worth considering the bigger picture. Sure, Nike has used the same slogan since 1988 – almost 30 years, the same branding. In fact, it is pretty big, when you consider this fact – over the same period, one of its competitors changed their own strapline at least 14 times. Now ask yourself: is your corporate identity consistent?